The rebuilding of Appleby by Rowland Winn, from 1872 to 1880, resulted in the semi detached cottages widely recognised as the ‘Estate Cottages’. 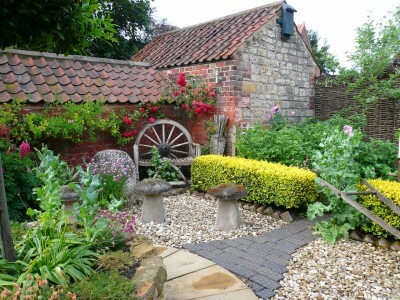 The excellent designs and features of these cottages was extended to the outhouses. Invariably detached from the houses themselves and set at a fair distance behind, with the addition of a stone and brick wall some 5 ft high separating the two cottages, a useful yard area was thus created enclosed as it was on three sides. 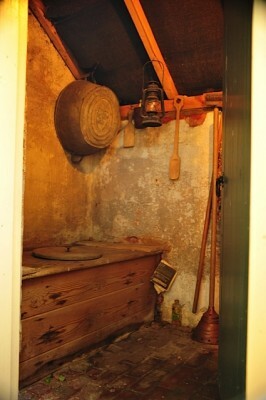 The outhouse would contain the wash-house with an iron boiler for heating water for wash day – it would also have been used for pigswill. 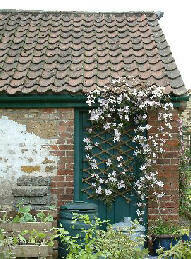 This outbuilding comprises a cow shed, privy and a pig sty. 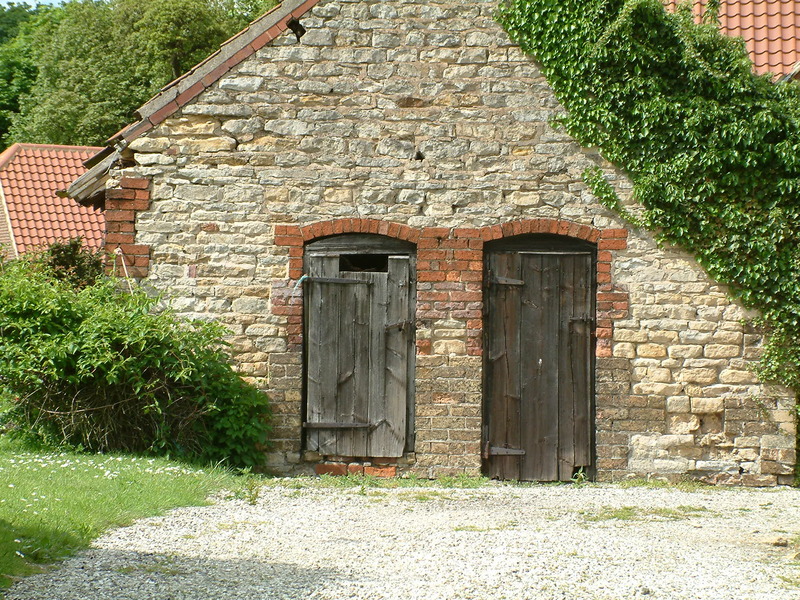 An outbuilding accompanying one of the Estate Cottages on Ermine Street, below. The access for this part of the building would be from a door facing towards the cottage. Access to the rest of the outbuilding would be from the rear – probably a combination of pigsty, privy and ashpit, but with some variations to include in certain cases a cowhouse with two stalls and an overhead loft area. The provision of the cowhouse implied continuation of rights of cow-keeping on land set aside for the use of the labourers’ animals, indeed, records show that in 1895 each labourers’ cottage was being let with almost 4 acres of grassland! The outbuildings were built with the same attention to detail as the cottages themselves, limestone with red brick corners, the rear probably all brick, a low arched doorway into the pigsty with brick detail and roofed in the same red pantiles as the cottages themselves. Feeding hatches, stable doors and the privy emptying hatch added to the overall usefulness of the building. 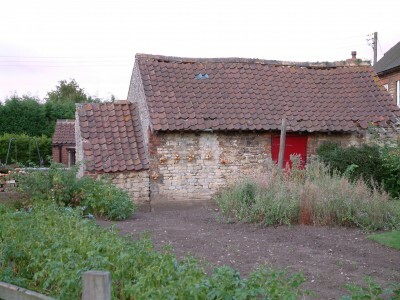 The older cottages in the village had their own mix of outbuildings – probably a similar combination of sty, privy and wash house. These outbuildings on School Lane were demolished in mid 2000. The buildings must have made a useful store for all the hand tools used on the adjoining large vegetable garden.